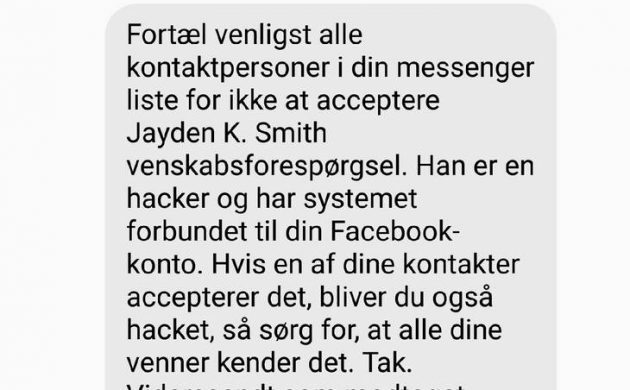 Well-meaning Facebook and Twitter users have been sharing a message – in both English and Danish – warning their friends not to accept a request from Jayden K Smith. Turns out, the message itself is the hoax. The message asks social network users to pass on the information to everyone in their contacts lists. Some have done so, and are inadvertently spreading a lie. The bogus message has been sent thousands, maybe hundreds of thousands of times since first popping up last week. The Jayden K Smith hoax is the latest in a string of common warnings about hacker accounts which are spread online.